221A pursues its activities in the context of post-Olympics Vancouver, a “global city” cut across by the pleasures, crises, and contradictions of late-stage capitalism: the restructuring of all production by networked communications; unchecked real estate speculation and urban redevelopment; looming climate catastrophe; and the continued negotiations and contestations between diverse cultures on unceded territories of the xʷməθkwəy̓əm (Musqueam), Skwxwú7mesh (Squamish) and Səl̓ílwətaʔ/Selilwitulh (Tsleil-Waututh) Nations. 221A is led by artists and designers who came of age after what Francis Fukuyama declared the ‘end of history’ (c. 1992), where modernist romanticism—the dream of human agency to transform self and world—was said to have surrendered to the dominance of inhuman capital and cynical market realism. Beginning as a student-led initiative in 2005, the organization was initially animated by an opposition to the division between contemporary art and design. 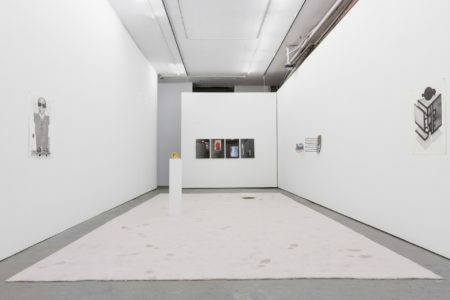 Leaving the university grounds in 2008 to establish its first public exhibition space, the organization would be shaped by the history and upheavals of its new home in Chinatown, the embattled neighbourhood itself a microcosm of a global economic recession and the transformation of Vancouver before and after the 2010 Winter Olympics. Photo of 221 E Georgia St in 2013, during its years used as an exhibition space. Kara Uzelman, Stratiform. The Corruption of Time’s Dust 2014. 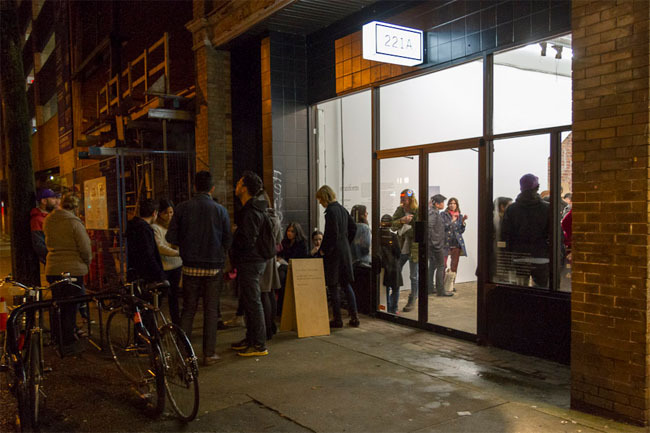 In 2015, 221A opened Semi-Public, a 3,000 square foot outdoor exhibition site, complicating its role in Vancouver’s contemporary art ecology. However, as the organization grew, it found its ambitions increasingly restricted by the disciplinary conventions, compressed timelines, and precarious economics of the artist-run centre (ARC). In his history of magisterial artist-run culture in Canada (1962-2012), Vincent Bonin describes how the ARC’s original project of emancipation, of both artist and society, was abandoned after decades of creative stagnation and bureaucratic red tape. The organization likewise found that the methods and logics of the traditional ARC could only interpret the world in various ways; 221A wants to change it. Consequently, 221A’s vision is to support artists to transform the cultural, ecological, and economic contexts they emerge from. Beginning in Fall 2017, 221A’s programming was comprehensively restructured around a ‘fellowship & infrastructure’ model. Unlike a standard exhibition or commission, the fellowship program will host artists over an extended period of time, engaging with contexts, collaborators, ideas, and audiences. Over the course of three to twenty-four months, the fellow will occupy 221A’s former exhibition space and working with the staff to lead the organization’s artistic pursuits. Yu Su, Fellow, in conversation with Vincent Tao, Librarian, December 2017 at Pollyanna Library. Photo: Sungpil Yoon. The fellowship program focuses on the development of research that leads to social, cultural, or ecological ‘infrastructure’. 221A defines infrastructure as flexible, semi-permanent projects and systems that exceed traditional forms of (art) production in their capacity to respond to fluctuating realities and needs. Whereas 221A’s peers and mentors—ARC’s and public galleries—are institutions that commission and exhibit artist works, the fellowship and infrastructure model empowers artists to use the institution itself as a medium. Fellows mobilize an expanded set of instruments—finances, communications, facilities, and human resources—to realize projects that intervene in, and hopefully transform, our contexts in contemporary society. To support the fellowship and infrastructure model, 221A transitioned its exhibition venue into Pollyanna 圖書館 Library, a public reading room and collection of print material, audio, videos, objects, and artworks acquired through research initiatives. 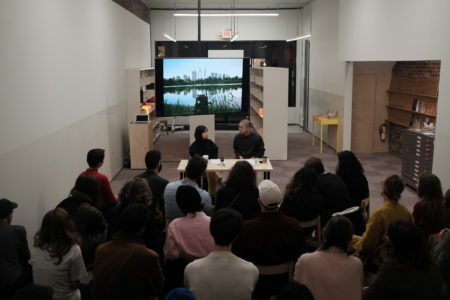 The library also provides space for communal education and programming — talks, performances, screenings, reading groups, and classes — that animate and develop the collection. For additional information please email our offices at hello@221a.ca or by telephone at 604 568 0812.